This 1-day intensive course will show you how to learn and master these fundamental assessment skills so that you can pass the ‘Police Special’ process. 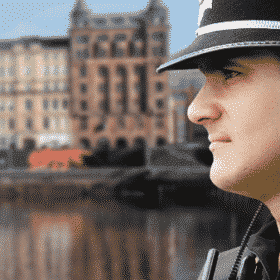 The 1-Day intensive Police Special Constable course will teach you everything you need to know in order to excel during the tough selection process. Candidates who pass the selection process have a thorough understanding of how they are going to be assessed, as well as knowing EXACTLY how to match the competencies at every stage of the process. This 1-day intensive course will show you how to learn and master these fundamental assessment skills so that you can pass the ‘Police Special’ process. This course has established an excellent reputation for delivering high-quality selection preparation training, primarily due to the fact that it is run by a former police officer. 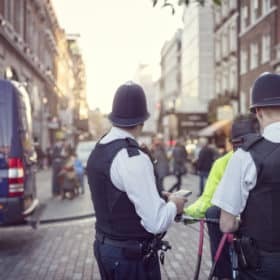 As such, you can benefit from the expert knowledge and experience of a tutor who has helped hundreds of previous candidates become a ‘Police Special’. As well as granting you exclusive access to outstanding tuition and insider information, this 1-day course is the most cost-effective training resource on the market. Candidates benefit from the exceptional knowledge of a tutor who has firsthand experience of the selection process and marking system. Hi there, Just wanted to say a massive thank you for the advice your 1-day course in Kent gave me. I have just found out that I passed the assessment centre with 78% score and I am absolutely thrilled. I am certain it was due to the advice and confidence boost the course gave me that was key to my success. 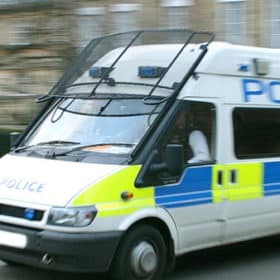 The course is well worth the money and I would recommend it to anyone who truly wants to be a police special constable. 1. Detailed information about the recruitment process and how to apply. 2. Current information about how the police assess candidates during the selection process. 3. Face-to-face specialist training with a former police officer. 4. Advice and insider knowledge on all aspects of the application and interview process. The application form to ensure success the first time around. Pre-release material that you need to study and what you need to know. The 7 Core Competencies and how you will be assessed. The Police Initial Recruitment Tests (P.I.R.T.s) including sample tests to try out. Role plays and how to pass them, including a ‘try out’ for each attendee. The competency-based interview including sample questions. Maximum Instructor:Student ratio = 1:14. Modern conference facilities with plenty of space to work. Liquid refreshments throughout the day for your comfort. The best training facilities available and a course run by an expert. This course teaches the new updated police officer core competencies and shows all candidates what they MUST be doing to PASS! 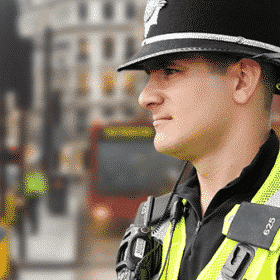 This course is run by a former member of the Metropolitan police’s recruitment branch, who specialised in not only recruiting people, but preparing so that they had a proven better chance of joining. 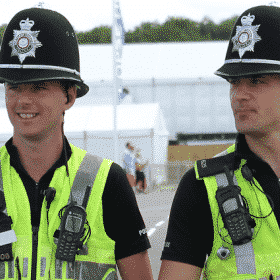 His knowledge, help and advice will improve your chances of joining any British police service.. Extracting information from the written report and brief quickly & accurately. How to use a quick method for ensuring success in the written report. The importance of writing legibly and literately. Constructing assessment centre specific reports. Guidance from a former police officer regarding how to understand this crucial information. Guidance on how to use this information wisely on the day of your assessment. What they are and how you MUST match them to pass. Using them appropriately during every stage of the application process. Sample test questions to help you prepare fully. Verbal Logical Reasoning and how you can achieve the maximum scores available. Tips on technique and practice in the areas of maths assessed. Plenty of sample police test questions which you can use to practice the skills you have learned. The essential planning phase and what you need to do during this period. The activity phase and how to play the scenarios. Practice role plays for every student. Individual feedback and how to treat the actor. Planning your 5 minute response to the interview questions. The opportunity to experience a practice interview with sample questions. Individual feedback on your performance. Understanding other people’s views and taking them into account. How to treat the role actor with dignity and respect but also how to challenge and demonstrate your abilities.